Sometimes it feels awkward to be posting about such trivial things as beauty products when there are so many more important things happening in the world (and in my brain), but I suppose sometimes a little fluff can be refreshing in one way or another. Escapism, right? Right. So! 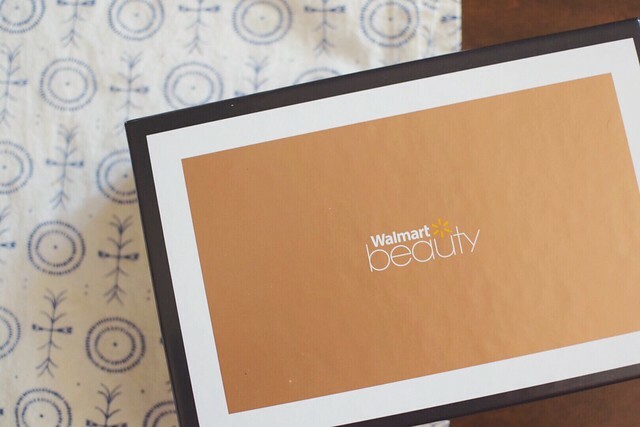 Am I the last person on earth to receive my winter beauty box from Walmart? Considering mine arrived in the mail this month, I'd say that's a definite possibility. Who knows what happened, but either way, I thought this would be a good excuse to take random photos of the goodness I received and share it here on the ol' blog. Ecotools Color Perfecting Minis — I'm more of a five-minute makeup routine kind of gal, so blending sponges are of no use to me. Eisley flipped out when she saw them, though, so I gave them to her for her "makeup" bag. Aquaphor Ointment Body Spray — This product seems kind of weird to me, because I don't really see the need for a spray when you could just use your hands to apply something. Ah, well. 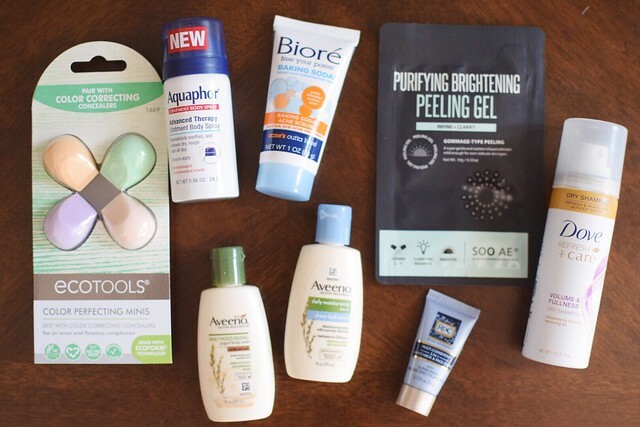 Biore Baking Soda Acne Scrub — I adore mini facial scrub samples like these, because they last for ages! I recently finished up one I had gotten from Ipsy and started using this one. I'm actually surprised it's called a scrub because it isn't abrasive at all—it's almost not enough scrub, if you ask me, but perhaps because it is targeted toward a more acne-prone face, it needs to be a bit more gentle. Either way, I'm loving it! SOO AE Purifying Brightening Peeling Gel — This was a super weird product to use. The way it is described, I sort of figured it would be like a mask that you peel off, but that is not the case. You put it on your face, then rub all over until it starts peeling off—kind of like the way Elmer's glue would, when you were in second grade and would pour some into your palm and try to rub it off before it dried. (Don't act like you didn't do that, too, fancy pants.) 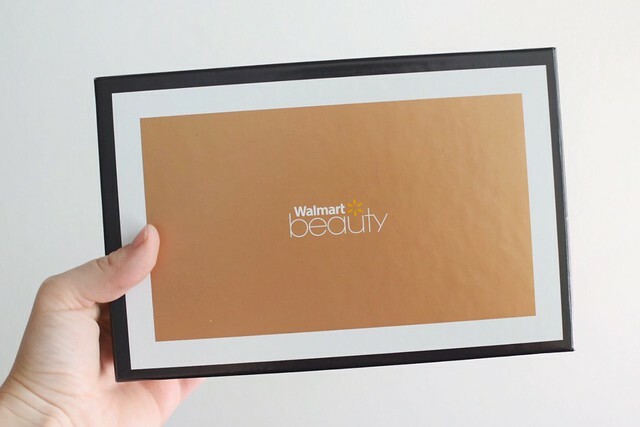 I couldn't tell any real difference in my skin after using it, and I didn't necessarily see the point of going through the weirdness for the sake of skin purification, so it's not something I'd buy. 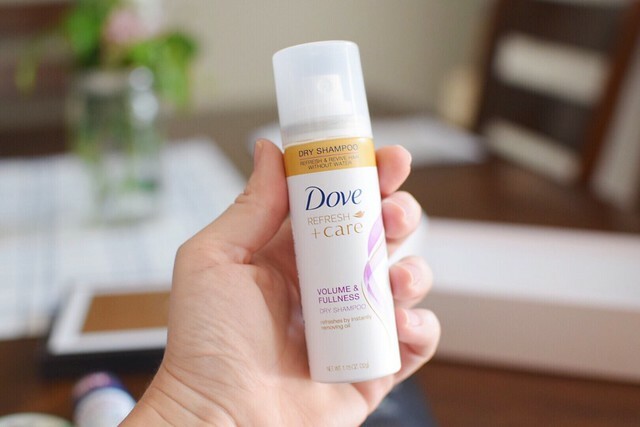 Dove Refresh + Care Dry Shampoo — Yes, yes, yes. They could throw dry shampoo into each of these boxes and I'd be a happy camper. Roc 5 In 1 Face Cream — I have so many facial moisturizer samples right now that I haven't used this one yet. It has great reviews, though, and I like that it has sunscreen (which is missing from my current facial moisturizer). Dry shampoo: the lifeblood of women everywhere. How did we get by before this was a thing? I've legitimately pondered this very question for longer than necessary. As much as I don't think of myself as a very modern gal, surviving without things like dry shampoo, GPS on my phone, or podcasts would make me weep. As a reminder, I pay for each of these beauty boxes myself and this post is not sponsored, nor do I get anything if you sign up yourself. It's just fun to receive these every few months and review them here! If you want to sign up for your own, just go to the website to sign up and you'll be charged $5 for each box you receive. They send boxes out four times a year, and I always feel like it's a pretty good selection of items for what you pay. Let me know if you received anything different in yours this (last?) season! This might be the first time I've seen a box where everything is useful in the five minutes I spend getting ready. April is *quite* late for winter, though I wouldn't call those winter products really?